Nice hotel and great staff The hotel was fine as hotels go, but the staff made it exceptional. Becky is the best receptionist in the business. She went above and beyond to accommodate me and my children. Check in was a breeze and the room was awesome. The staff was extremely friendly and the room was spotless. 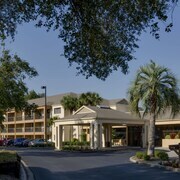 Excellent Place for a business stay I came to Ocala on business. The hotel is very clean, neat and quiet. The pool and outside amenities were wonderful. I enjoyed my stay at the hotel and will definitely stay again. Excelent!!!!! Excelente hotel, great service, beautiful rooms... asome breakfast!!! 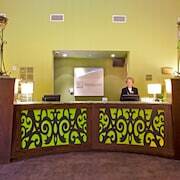 Situated in Silver Springs, this hotel is within 1 mi (2 km) of Wild Waters Theme Park, Appleton Museum of Art, and Silver Springs State Park. 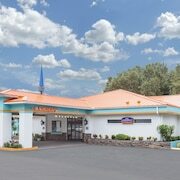 Nice priced hotel within 10 miles of Xway. The hotel is 5 miles from downtown Ocala and one of my favorite restaurants. The hotel was dog friendly and the room was very clean. The hotel price was 25% less then comparable hotels closer to Xway. Hotel was near stores that we needed to get around I enjoyed a relaxed day after a stressful work week. Ready to say hell yes to new and magnificent adventures in Ocala? We make traveling so darn cheap that you'll have trouble coming up with an excuse to say no! It is approximately 150 miles southeast of the capital of Florida, Tallahassee. Ocala is also 19 miles northeast of Hernando. With loads of things to see and do in this area of Central Florida, it's easy to see why 56,000 locals reside here. You don't have to be an art critic or an anthropologist to spend time at the Insomniac Theater. Check out their program to choose one of the many cheap or free culture and arts events. If you're looking for a little outdoor fun at the right price, plan a visit to the Candler Hills Golf Club and Juniper Prairie Wilderness. These attractions will help clean out any lingering cobwebs! You won't be discouraged from visiting I-75 Super Flea Market by a massive entrance fee. So, what's the hold up — whip out your camera and mosey on over! Enjoy the unique plants and gorgeous settings at the Sholom Park. It's a splendid place to while away some time with Mother Nature. When you organize your vacation with CheapTickets, you can sit back and relax knowing that we'll do the hard work for you. We'll seek out the lowest prices, and we'll never compromise on comfort and quality. To travel cheap is to deny yourself a range of options, right? Wrong! With 500 airline partners and more than 500,000 properties all over the world, you're flush with choice. And the best part is you'll save up to $481 when you combine your bookings on flights and hotels. You'll always go home with the cheapest price — it's our guarantee to you. We'll give you back the difference if you find your package for a lower price within 48 hours of making your booking. That's our Price Guarantee. There's nothing quite like being rewarded for scoring a fabulous deal. Our rewards program lets you earn cash to use toward your next qualifying CheapTickets hotel stay. All you have to do is book those flights! Penny-pinching savings on eligible bookings — check! Bonus offers and perks to make Scrooge McDuck proud — check! All that's waiting is for you to log in to your account or sign up for free, join CheapCash and experience the benefits! Hey there penny-pinchers, want to find a comfortable and convenient way of touring Ocala? Why not look at car rentals? Filling up a tank with gas from time to time has to be kinder to your wallet than dishing out dollars for costly cabs! Is the city your first stop? Enterprise can be found just 2 miles from the middle of town at 1770 Sw 60Th Ave. If they don't have what you're looking for, also look at Avis at 1770 SW 60th Ave. This popular rental outlet is just 2 miles from the city. 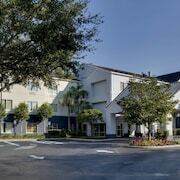 CheapTickets currently lists 23 hotels in Ocala. Book one of the best options so you can start organizing the rest of your cheaptastic vacation. Can't decide where to stay? 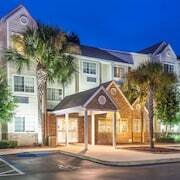 A few recommended options are the Residence Inn Marriott Ocala and Hampton Inn and Suites Ocala.